I grew up drawing. From as long a can remember, it was the only thing that seemed to come easy to me. I grew up in the San Fernando Valley of Southern California. After graduating high school, I had no real idea how to turn this interest into anything beyond a hobby. So, with no higher education or formal art training I found whatever work I could do all the while enjoying art simply as a recreation. Then in 1996 while working as a Pest Control technician I met my wife’s distant relative at a family reunion who was Animating at Disney. He gave me an honest assessment of my drawing skills, then graciously took me under his wing. He taught me entry level animation and advised me on building a portfolio. At this time, Disney had just finished “Hercules” and was not hiring, so in ’97 I applied at DreamWorks and was hired onto “The Prince of Egypt”. I suddenly went from killing bugs to drawing Moses on a feature animated film! I still can’t believe it happened. I have since worked on 10 feature films and over a dozen video games. A lot of my work tends to be very loose, in my attempt to capture motion, life and energy. With that I work quickly, spending no more than an hour or so on each piece. Anything beyond that tends to make my work feel stiff and muddled. I’m horrible at overworking and ruining my art, so keeping it brief helps! I’ve always been a huge music fan. I love all genres, having a very eclectic collection. From classical, to the blues, mariachi, jazz, country, rock, folk, disco, I love it all. 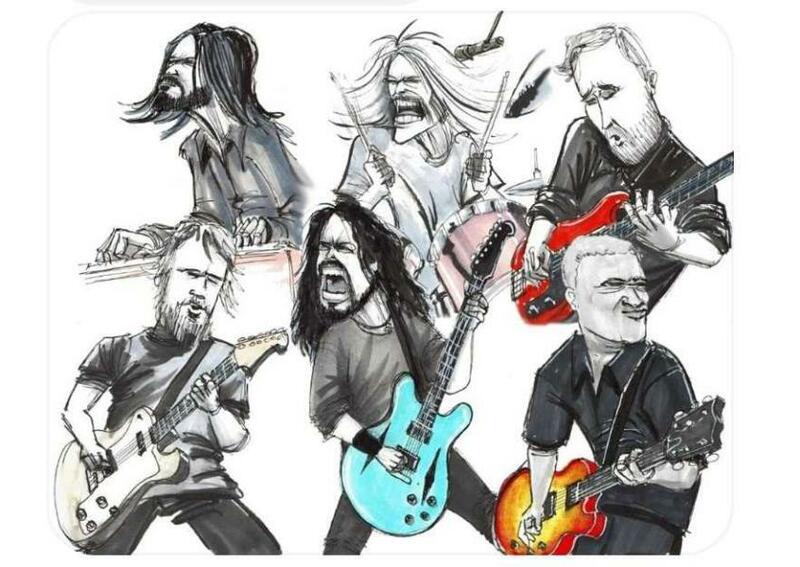 Drawing musicians is just an extension of my musical fandom. 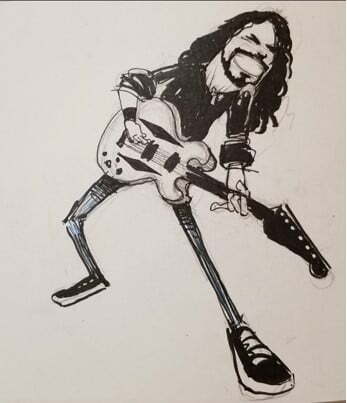 My first attempt at the Foo Fighters was just a simple Dave sketch, goofing around as I had done with so many others. 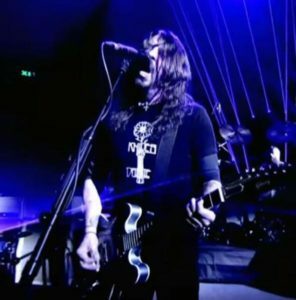 I had been a fan of Grohl from his Nirvana days and continued following him ever since. I admire his “Something from Nothing” accomplishments, having no formal training but making it work, nonetheless. It’s not only trying to capture the obvious energy of Dave and the band but also I’m also trying to tap into the positive vibes and fun they’re having. I try to get their unique personalities from facial expressions and poses. 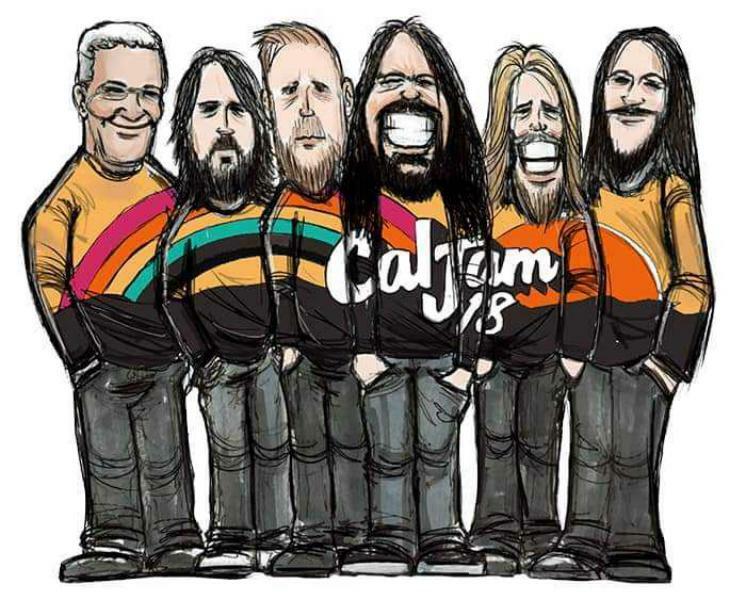 Posting my art online led to me being contacted by the Foos’ organization in 2017 to work on the upcoming CalJam18 festival. I couldn’t believe it was happening, literally a dream come true. 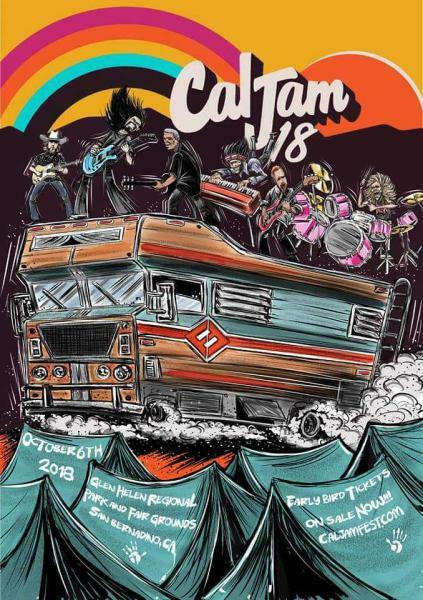 Working on Cal Jam18 was such a blast. The entire organization is so down to earth. It was a very collaborative experience in terms of brainstorming and coming up with different ideas to be used both as promo at at the show. The band was very receptive and genuinely excited to see it all coming together. In my meetings with them, they were always thrilled to see what I was doing. I got to design a couple of t-shirts, the official Cal Jam18 banner, access badges, several pieces for the website and the park map. 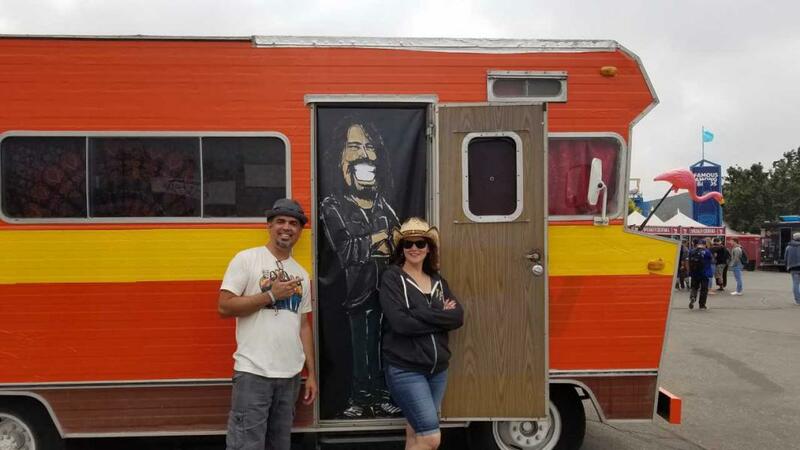 They even added my art onto an actual Winnebago used on the festival grounds for photo-ops! Then, attending the show was just incredible. They provided me and my family a luxury motor-home to stay in, all expenses paid. Meeting so many people, taking photos and sharing our love for the band was so much fun. It was an incredible event filled with art, great music and people enjoying themselves. Since Cal Jam, I’ve worked on a couple projects including the logo (below) for band very close to Dave’s heart! I’m currently traveling around the country appearing at various Comic book and pop culture conventions talking about my animation career and Foos!. Look for me on just about any social media platform: Facebook, Instagram and Twitter. 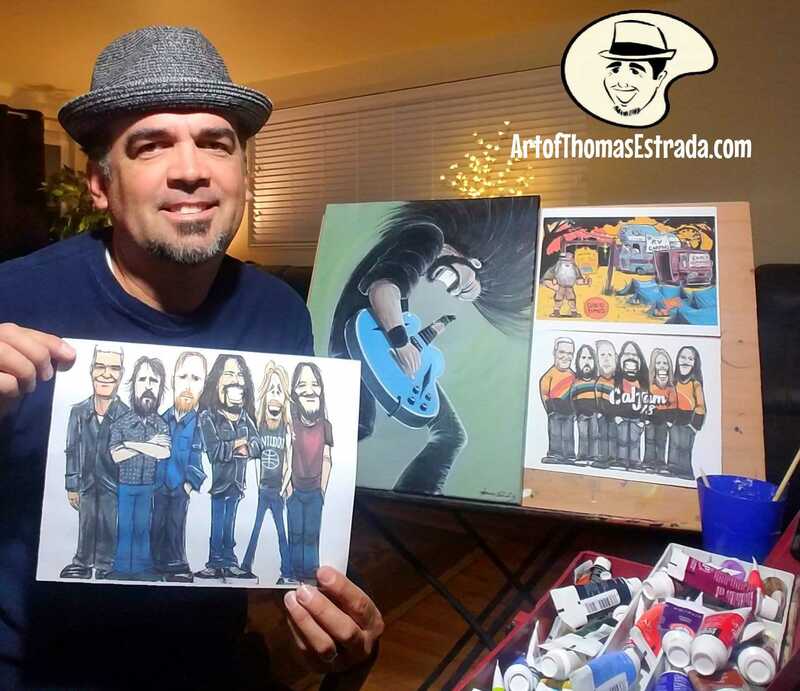 I also have a website artofthomasestrada.com where I sell personal pieces, tees, prints and posters, plus lists my upcoming schedule.